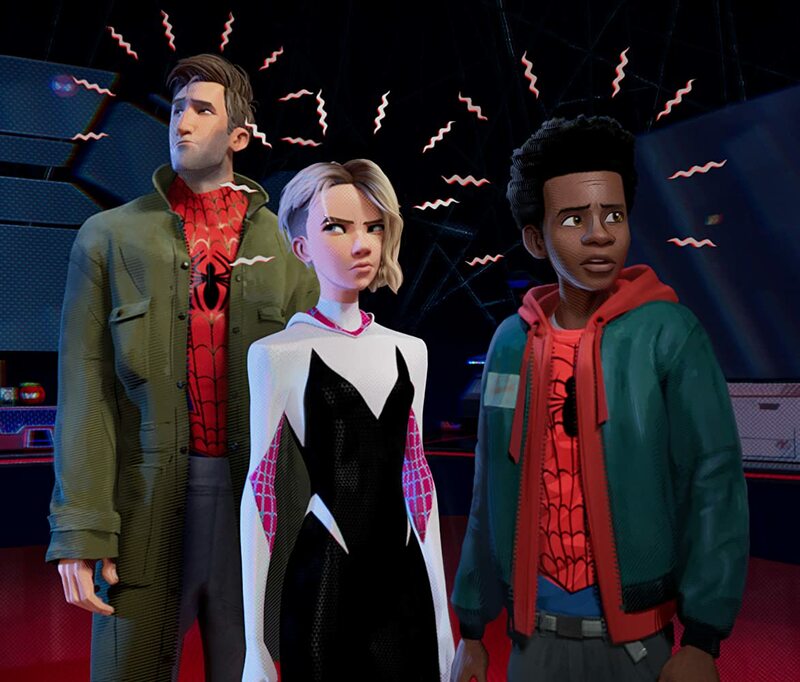 The new Spider-Man: Into the Spider-Verse™ movie is unlike anything you’ve seen before. Part 3-D, part 2-D, it’s an animated masterpiece that turns traditional motions into comic book-like action scenes. As a viewer, you were probably entertained by the story and intrigued by the design. But from a professional designer’s perspective, this movie was beyond epic. Here’s why. Spider-Verse was largely created in Adobe Photoshop, using custom brushes and hundreds of artists to achieve the crisp, comic book movie. While most animated movies are designed in 24 frames per second, this was designed with 12. Each of these frames was engineered with 3-dimensional techniques, then “painted” over in Photoshop, giving each frame blended characteristics of flat and 3-dimensional. Consider the fact that this hasn’t been done before–ever. Processes had to be created from scratch to create the movie in this way. Photo by Sony Pictures Animation – © 2018 CTMG, Inc.
Halftones are the small dots that have been historically used as gradients. In comic book art, they’re everywhere, so it made sense to include them in Spider-Verse. These layers have been individually added throughout the movie to give certain layers the look of an old printed comic book which makes it look like it was printed in CMYK even though this method doesn’t occur in a digital space. The detail and effort behind including these layers show the dedication of creating this specific aesthetic. Each character in Spider-Verse has a unique set of colors, layers, and artistic style throughout the movie. This is especially apparent during each character’s introduction scene: You may have noticed that each follows the same sequence but has vastly different colors and brush techniques applied. Traditionally, programs are used to create effects and speed up the process of animation. Think programmable hair or water; when movement is applied, it follows a set of rules. Once created (and perfected), it’s consistent throughout the entire movie. While this creates upfront work, it eventually makes the project easier at the animation phase. For Spider-Verse, no standard procedures were used. Instead, 100+ artists manually painted and applied layers to each character and special effect. This gave each character a unique gait, posture, and move that varied from one another. This is a huge undertaking! And what ultimately allowed the movie to look so unique and interesting throughout the film. It’s rumored that Sony is attempting to copyright this technique used for this film. I doubt this will happen because it’s an artistic technique. However, we will see what happens in the future. Other than that, go see Spider-Verse! You will be impressed.